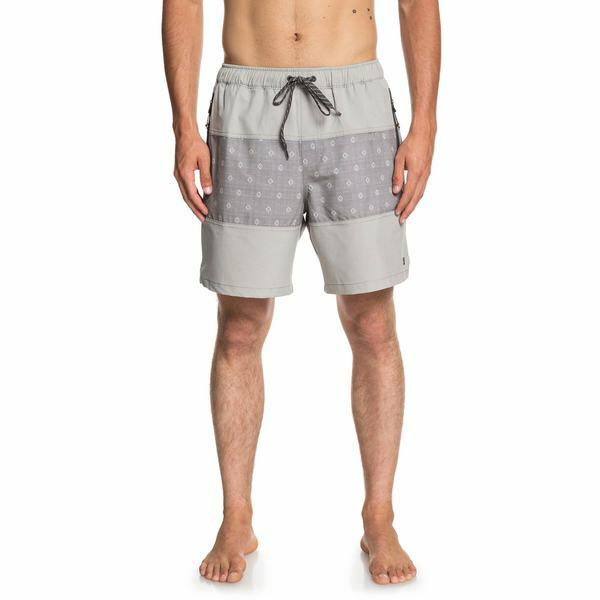 Whether you're catching waves or hanging out on the beach, turn up the heat in your marine lifestyle with Quiksilver's Manoa Rain Triblock Swim Trunks. Made from 92% polyester with 8% elastane, these swim trunks offer a blend of durability, flexibility, strength and comfort. These shorts also include both the Repreve® traceable recycled 4-way stretch that is made from plastic bottles and the Quiksilver DryFlight® water-repellent hydrophobic coating, so they're made to move with you and handle your waterlife adventures without getting weighed down. These shorts are completed with an 18" above the knee outseam. Imported.